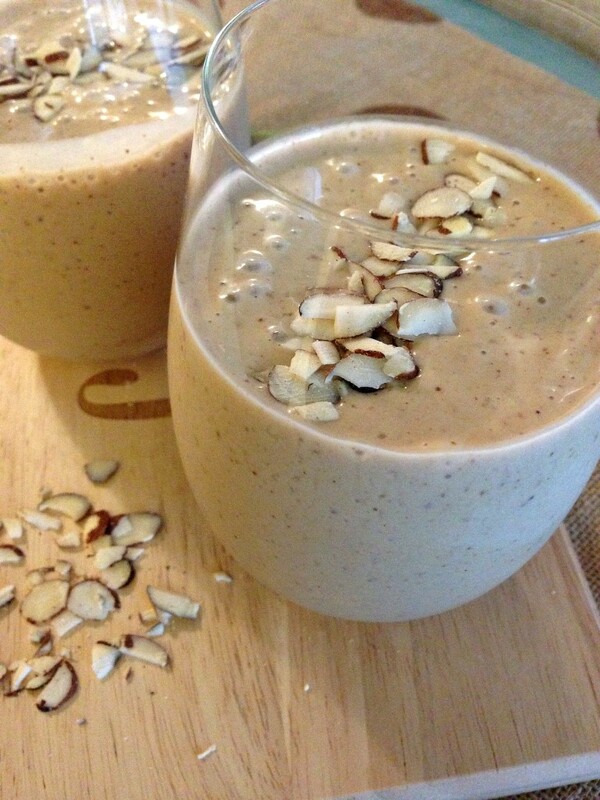 Creamy, decadent smoothie packed with protein, fiber, calcium and healthy omega-3 fat. The ultimate breakfast or pick-me-up midday snack. Must-haves in smoothies/shakes, in my opinion, include banana, yogurt and milk. I’ve found these three all-star ingredients yield ultimate creaminess. 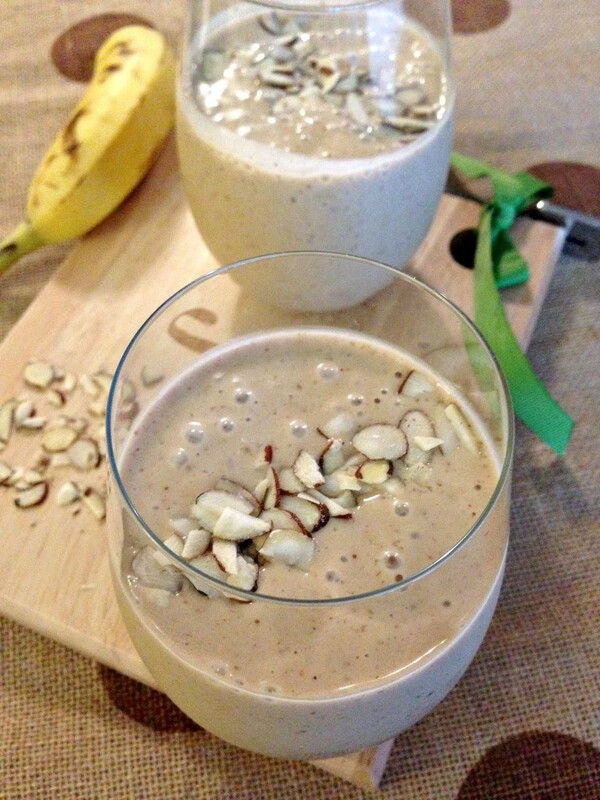 It’s best to use frozen bananas, as it gives smoothies an ice-cream like consistency. However, room temperature bananas work fine too. 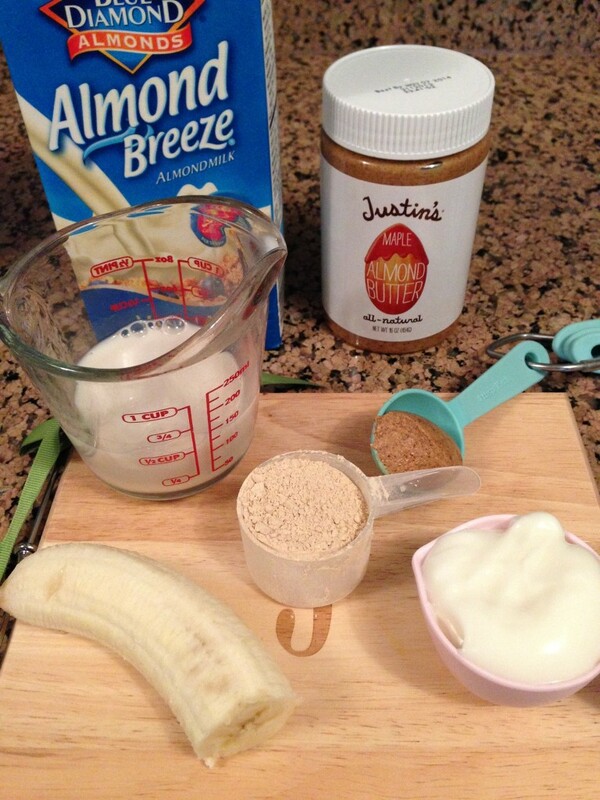 Added bonuses include protein powder and nut butter, both of which were used in this recipe. I always opt for milk over water in protein shakes and smoothies. Unsweetened vanilla almond milk, preferably. It is enriched with calcium, Vitamin D and E, contains no added sweeteners and only comes in at 30 calories per cup! 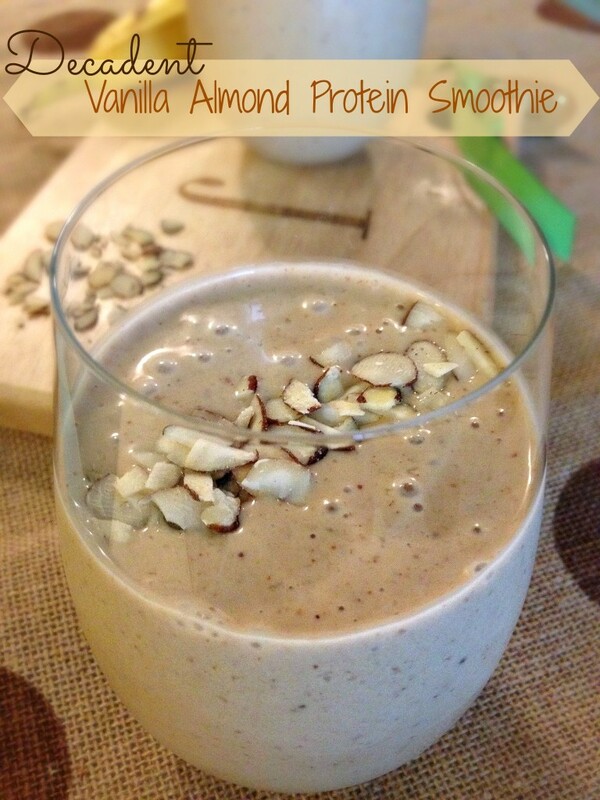 The rich vanilla flavor and thickness of the almond milk serve as a perfect base for smoothies. Between the yogurt, protein powder, milk and nut butter, this smoothie is packed to the rafters with protein. It will keep your blood sugars in check and leave you feeling satisfied and energized for hours to come. Combine all ingredients in a high power blender and blend until smooth. Top with slivered almonds, cinnamon or flax seed for added decadence. Enjoy! Wow, this smoothie looks delicious. I really like anything that has almond and vanilla in it. And lately, I’ve been a fan of smoothies, so I will definitely try this at home. Made this again today! Still so delicious!